optimization and durability of infrastructures. Protects its drinking water sources. Provides adequate treatment of the water and monitors the quality of the distributed water. Promotes responsible consumption (saving drinking water); sets up water saving measures; optimizes the management of the distributed water. Manages wastewater during wet-weather conditions, including the associated pollution and flooding. 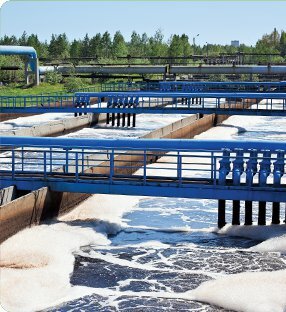 Provides adequate treatment of wastewater from various sources. Provides maintenance, rehabilitation and replacement of infrastructures according to programmes that guarantee the sustainability of services and the use of resources in the long term. Adapts the infrastructures to climatic change. Provides suitable continuous training for operation and planning staff. Optimizes management of human-, equipment- and financial resources dedicated to water. Optimizes costs for water services; reasonable invoicing for resource use, and administrative and political accountability with regard to the quality and cost of the water services. Prepares, updates, monitors and provides feedback on annual and triennial action plans to ensure the quality of service and sustainability of the infrastructures. Informs citizens on existing services and on projects currently under development. Monitors the quality of receiving waters. Develops access to water courses and creates recreational facilities and activities for citizens and visitors.